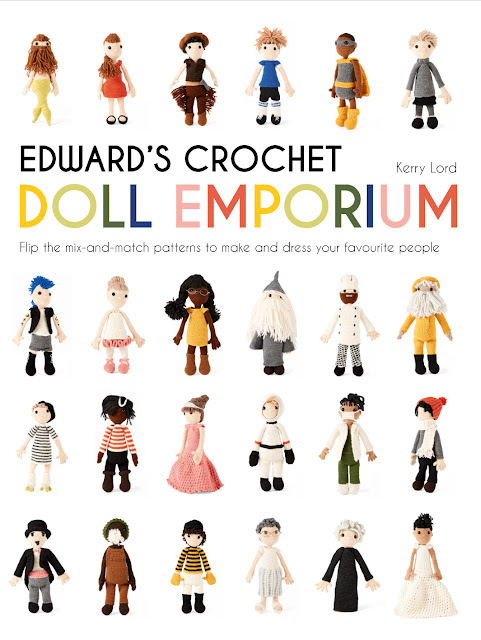 Following the success of her (gorgeous) mix-and-match monster book, Kerry Lord's latest offering is a beautiful collection of doll patterns, in the form of Edward's Crochet Doll Emporium*. Available from today, you will have plenty of time to 'get your crochet on' for the festive season and I suspect that once you start making these gorgeous characters, you won't want to stop. 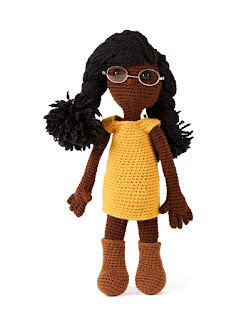 The patterns are based around two standard templates - one for complete beginners and one for more advanced crafters - with the main differences being in the detail of hair construction, the addition of fingers etc. There are 23 different head and costume options which can all be mixed together easily, using the split pages (it's a flip-book), to create a mini version of anyone! Kerry Lord... and Kerry Lord! Of course, you can also go beyond the patterns to personalise the clothing, hair and accessories as much as you wish - you can really let your imagination run wild. Kerry also suggests embroidering make-up and tatttoos to make a perfect replica of your person. 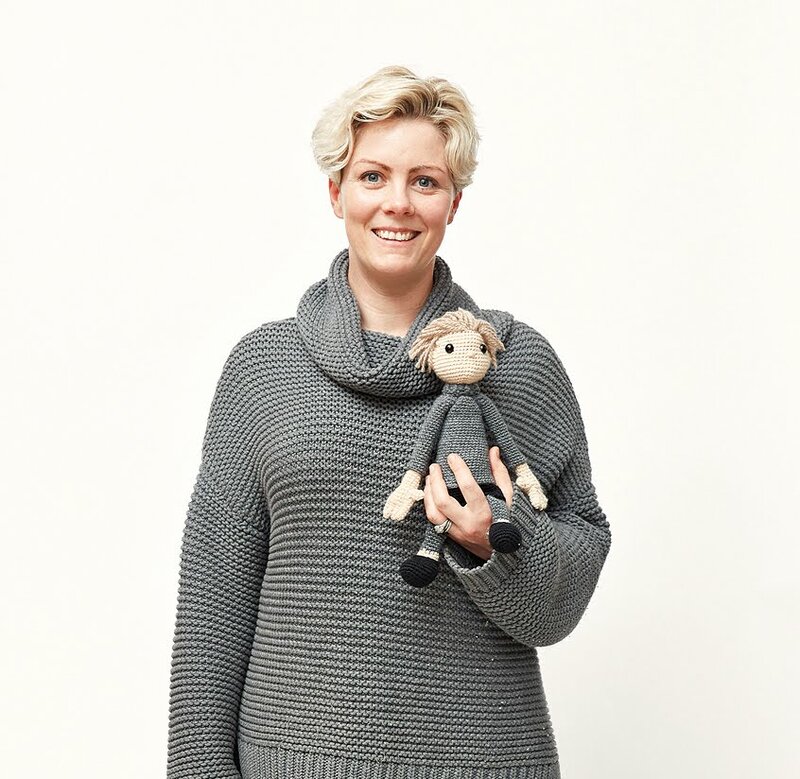 The book isn't just about making crochet versions of 'real' people though - the dolls would make lovely playmates for children. 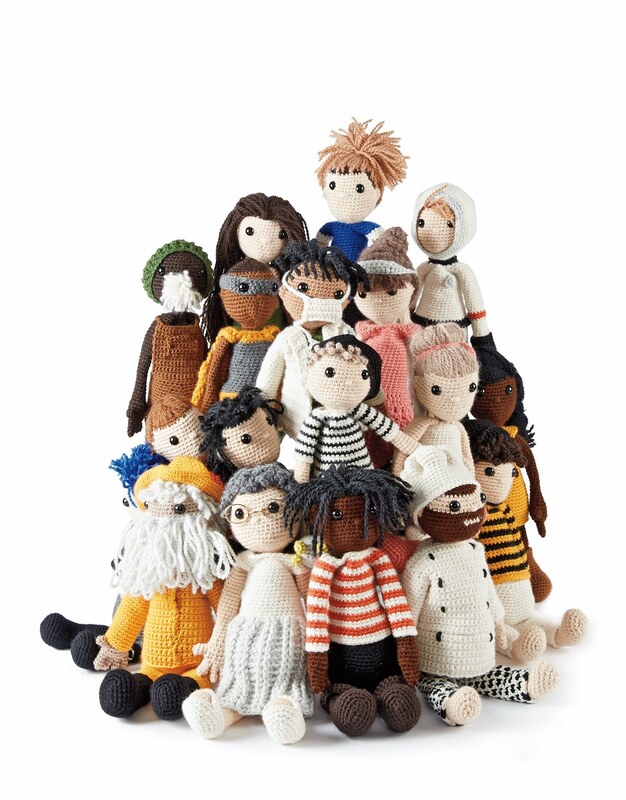 I think many will choose to make one or two dolls and a whole wardrobe of different outfits, as they are all removable. There are 25 different dolls in the Gallery section for inspiration. Full patterns and detailed instructions are provided for all aspects of making and finishing, and they are arranged in order of complexity so even if you haven't tried amigurumi before, you'll be able to make a start with more basic options to build your confidence. The book itself has a hardcover with spiral-binding so it lays flat for easy reference. With a clear font and layout, it's easy to read and full of beautiful photography from Kirsty Noble. It's a real beaut and I think would also make a lovely 'coffee table book' for flipping through, between use. 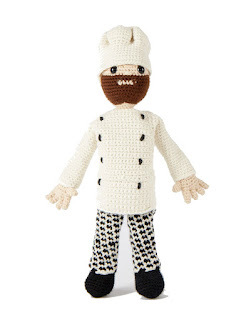 Or a beautiful gift for a crocheter. Edward's Crochet Doll Emporium is available now from good book shops including Amazon.co.uk. Wool Warehouse stock Kerry's books, although this wasn't listed at the time of writing. For US readers, the Doll Emporium will be available from Amazon.com in a few weeks and can be pre-ordered now.